Korean pop rock band CNBLUE will be holding their first ever concert in the Philippines. 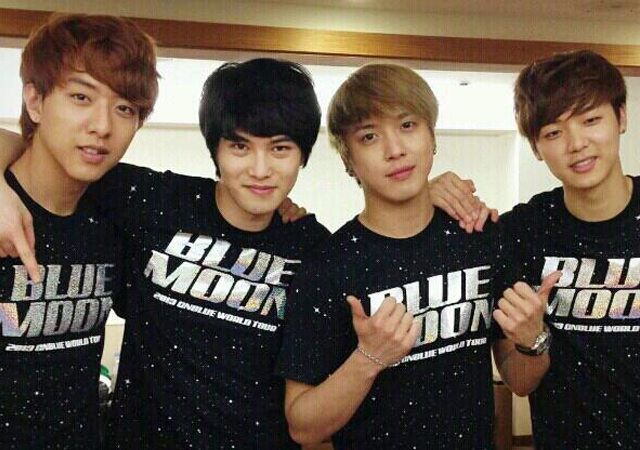 The 2013 CNBLUE Blue Moon World Tour in Manila will be held on June 15 at the Smart Araneta Coliseum. The Philippines is one of the eighth countries to date in the world tour. CNBLUE's world tour kicked off in Taipei, Taiwan last April 6. The boy band then held their concert in Singapore last April 13. They will do concerts in Thailand, Hong Kong, South Korea and Melbourne in Australia in May. A concert in Sydney, Australia is scheduled on June 1 before the stop in the Philippines. The concert will also be held in Malaysia in August. Filipino fans have started buying tickets to the concert on April 28. Ticket prices for the Philippine concert range from P1,590 ($39) to P7,950 ($193). Unlike other K-pop groups, CNBLUE, composed of Yonghwa, Jonghyun, Minhyuk and Jungshin, debuted as an indie band in Japan in 2009 before entering the Korean entertainment industry in 2010. The group's world tour is being held to promote their new album "Re:BLUE," which was released last January. Last April 24, the boy band released their fifth Japanese single "Blind Love," which debuted at No. 2 on Japan's Oricon daily singles chart. Besides being singers, members of CNBLUE are also actors, having starred in Korean dramas that were aired in the Philippines. Yonghwa, CNBLUE's main vocalist, starred in "He's Beautiful" with Park Shin-hye, Jang Geun-suk and FT Island's Hongki. He played Shinwoo in the TV series which aired in Korea in 2009 and in the Philippines in 2010. He teamed up again with Park Shin-hye in "Heartstrings" in 2011. The drama ran in the Philippines last year. Jonghyun, the band's vocalist and guitarist, also appeared in "A Gentleman's Dignity," playing the role of Colin, son of Kim Do-jin, played by Jang Dong-gun. The drama aired in the Philippines from November to February this year. Music video for Psy's new song "Gentleman"